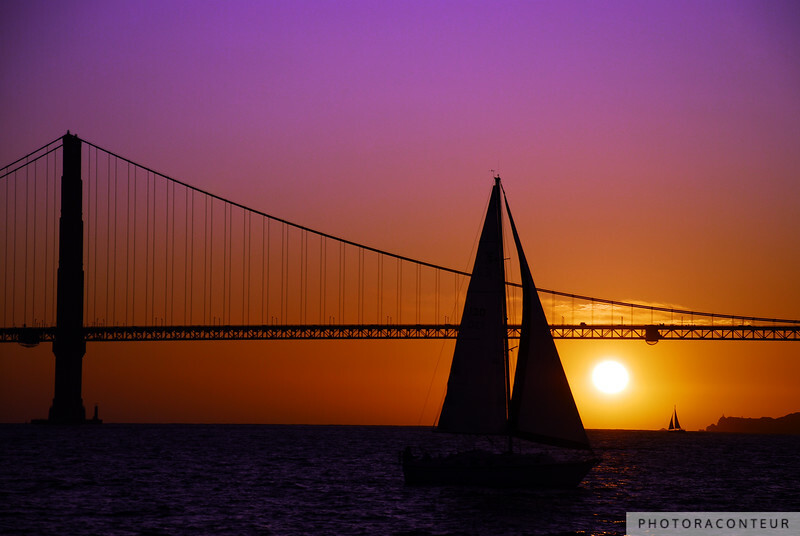 "Sailboat Sunset on the Bay" ~ It's hard to top watching the sunset behind the Golden Gate Bridge. 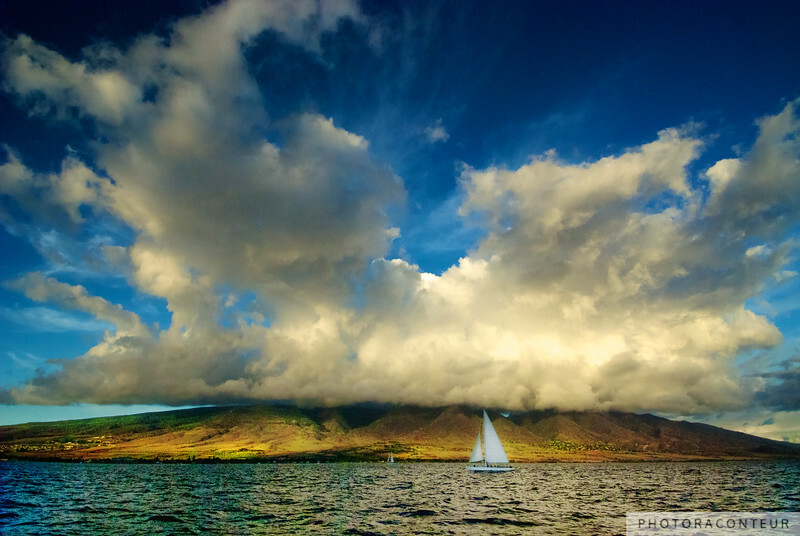 Until two sailboats line up on either side of the setting sun, that is! It was a chilly September night as our catamaran tour sailed around Alcatraz and throughout San Francisco Bay. Just minutes after capturing "Through the Sail" and passing under the bridge then back again, the sun was just about to dip into the ocean amidst a peach and purple sky when two sailboats lined up on each side -- one near, one far. Thanks for that, captains.